In an effort to mimic the security benefits of high end security camera systems, many cheap camera manufacturers have developed cameras and systems with easy Peer to Peer access, allowing you to quickly and easily view your home or business from anywhere over the Internet. Unfortunately, a cheap price tag can cost you a lot when it comes to these HD security cameras. These inexpensive IP cameras deliver video and sometimes audio through an off-site or even off-shore server to allow you to quickly connect in from your iphone or android phone. Convenience and security rarely go hand in hand in these situations. This is why our recommendations for home and business security are not for these 'easy install' cameras that simply plug in and hook up to WiFi, but rather engineered systems with an NVR server that connect to an isolated network, protecting the cameras from the outside internet, and even the internal LAN. The NVR servers we build operate on current operating systems, which allow a better level of security than that afforded by cameras that are placed unrestricted (or poorly restricted) on the internet. This article, does a great job of outlining just a few of the possible exploits that many people actually pay to introduce in their own security. This reckless disregard for personal digital security gives our entire industry a bad name, this is why articles like this one really need to spread the word and help people understand how to properly design a security camera system, or select a reputable company to assist you. The first mistake many consumers make about selecting a security camera, is they assume that off-the-shelf or big name security cameras will be secure. Any IP camera is a computer inside really, so it needs to be protected like your computer. When able to be accessed from outside of your network, it can easily be tapped into, or even adapted for more dastardly purposes even. So when selecting a camera, it is usually best to ignore the off-the-shelf big box cameras, as most of them use the same technology which has your camera automatically contact an off-site server over the internet to update it with its current location, and watch for you to try to connect in. Even when password protected, this makes these cameras an easy target for someone trying to access it. Ease of use = poor security in these cases. The servers these cameras contact can be located anywhere in the world: US, China, Russia. Wheverever server space and internet connection is cheapest, since these cameras can sell for as low as $30 and often don't have monthly access fees even. This is why we steer clear of these cameras when it comes to design of a home or business security camera system, and instead design a system that stays isolated from the internet, or has a more secure direct access for iphones/androids and PCs. 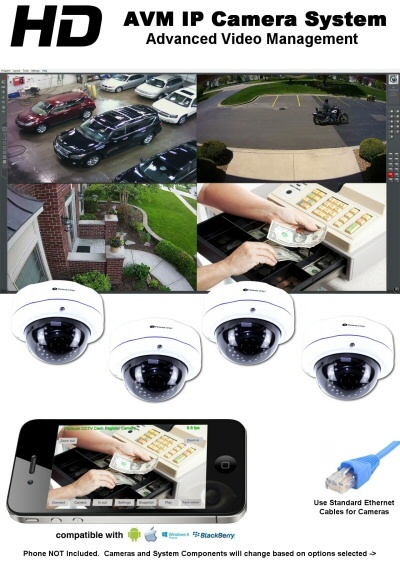 In an ideally designed system, all IP cameras are plugged into a PoE switch that is not connected to any of the network or internet switches. This keeps all of the cameras on an isolated physical network, prevents any access to the cameras at all. Because these cameras are not WiFi based, and the network they sit on is completely isolated, there is no way to even find the network on which the cameras sit. The NVR server then connects to the isolated camera network with one network card, allowing it and ONLY it to grab the video streams from the cameras. A second network interface card can be used to connect to the main network of your home or business, to provide ability to access the NVR server from your computers, iPhones, Androids or other devices. This can allow internet access to your cameras, but it must be configured through port forwarding through your router. Combining a secure NVR platform, with a secure internet router can provide secure access to your cameras from devices. As your devices connect directly to your NVR server and your cameras or NVR never route through an outside server, the video never passes through other servers and the cameras are never able to contact outside internet access directly. Secure systems like our AVM will even adapt to secure VPN networks for industry to allow completely encrypted communications from your NVR server with IP camera feeds to your VPN enabled laptops, phones and computers anywhere in the world. Our AVM system can even let you know if there are any attempts to connect into the camera system - even failed attempts. These are things that cannot be accomplished with most basic Standalone NVR systems, and definitely not with "cloud" style IP cameras. 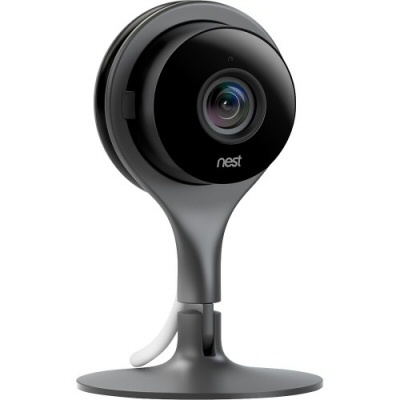 When considering a security camera system, it is very important to also consider the security of your data and the rest of the data that travels over your internet connection. In some cases, unsecured IP cameras can be adapted to grab network traffic and even credit card data and send that information to theives that can use your customers' credit card information to commit fraud. This doesn't even include the possible unwanted access to your cameras that could occur. With security, the cheapest solution is not necessarily the best solution, and could be more costly than you ever anticipated. Learn more about our highly secure, well designed Business AVM Security Camera Systems to help you not only protect your business from theft, but also protect your data and network at the same time.